In February, my SIL (R.) sent me a Facebook message with a photo of "I Heart My Dress" and asked if I could knit an 18 or 24 month dress for her daughter. I immediately picked up my phone to call her. Of course, I'd knit a dress for her baby, in fact consider it a birthday gift. I love knitting clothes for girls. Problem, her birthday is in April. Oops! I'm just starting on it now... but she's wanting it for fall/winter this year, so it's all good. R. said she would like the dress to be red with black heart shaped pockets. I'm knitting it with Red Heart Super Saver yarn. This brand has grown on me (just a wee tiny bit). 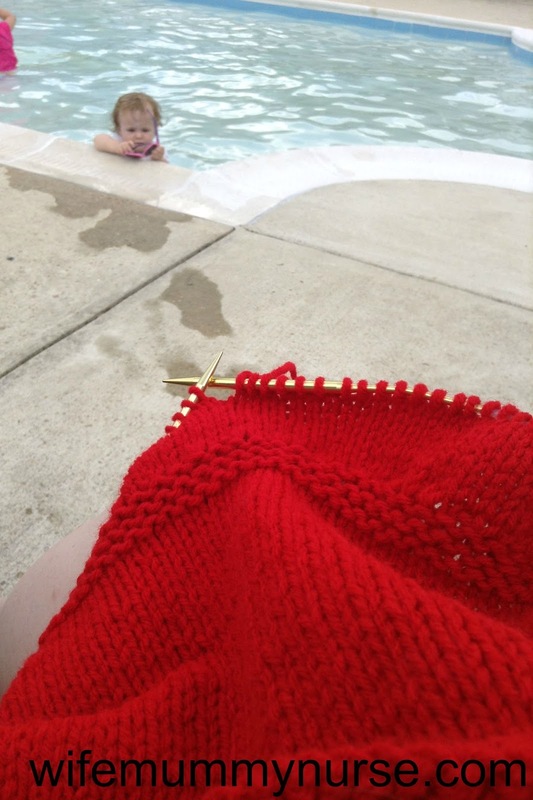 I can knit this dress while my children are playing in the pool, and I don't have to worry about getting it wet and felting. What are you knitting? 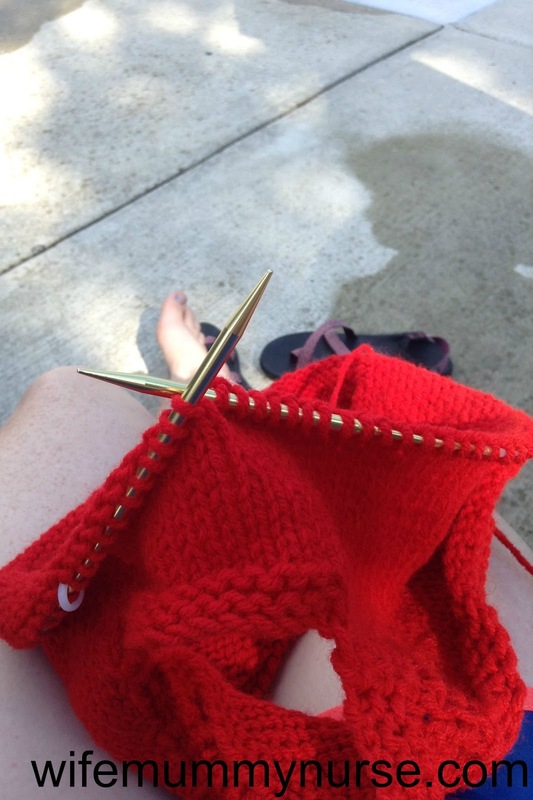 Join me at Ginny's Yarn Along. What a great colour, will make a fab dress.